Looking for a great way to kick start your year? What better than an investment which will improve your whole wellbeing? Hot tubs can help reduce stress and improve overall wellness and here at Softub we combine comfort with unique design to bring you an energy efficient spa like no other. 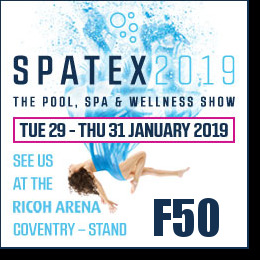 Why not come along to the Spatex show this January and meet the team and you can find out all about our amazing products and take advantage of some exclusive show offers.